At the end of 2017, the Indonesian rainy season went far beyond its normal cycle, about a month in fact past the regular end-of-season. December typically marks the beginning of Indonesia’s dry season, but now Sumatra’s farmers and cooperatives are witnessing major interruptions to their operations, threating a critical Sumatra coffee shortage. 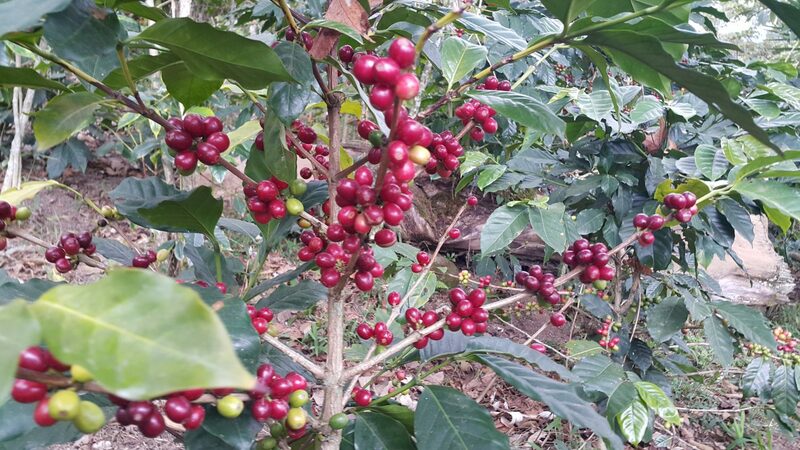 This is occurring both with lower altitude robusta as well as the Sumatran highlands like Gayo and Aceh where high quality, specialty arabica is produced. Sumatran harvests normally occur between December and January but due to the rains, yields are down a staggering 72 percent from just a year ago. By the numbers, according to the Association of Indonesian Coffee Exporters, exports for February were only 4,042 tonnes, a decline of nearly 10,000 tonnes from February 2017. Furthermore this is the lowest recorded volume in the past 7 years. With Indonesia ranked the world’s #4 coffee exporter, a Sumatra coffee shortage will almost certainly have an impact on this years market. 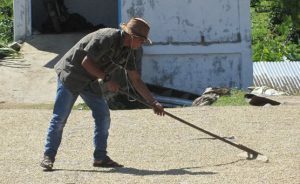 Many growers and cooperatives have been using premiums, Fair Trade and otherwise to reinvest into sustainable farming operations, and in some instances creating arabica nurseries and groves of alternative cash crops like avocados and fruits to offset the losses of exactly this type of situation. Still, reports on the ground indicate that rains knocked down a significant portion cherries, and elevated humidity coefficients, particularly at high altitudes have hamstrung normal sun drying operations, which in turn has led to further losses due to molding and spoiling. With all indicators pointing towards a critical shortfall, we are securing as much Sumatra as we can get our hands on in preparation for a Sumatra coffee shortage. All around stocks are low as warehouses are quickly selling whatever remains. This is the new reality. Sumatra lovers can expect to pay significantly higher premiums throughout 2018 up until the markets are able to receive updated reports indicating a reversal of current trends. Spring harvests due to ship in April/May are estimated to be as much as 80% below their normal volume; even the best estimates indicate a roughly 50% decline. On the upside, this would still be better than the numbers from last fall, but the trend overall points to, bare minimum a short term downtrend from where we’re sitting. 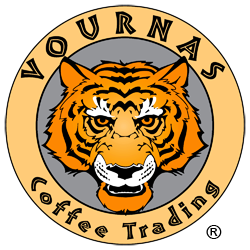 Here’s the good news, Vournas Coffee Trading still has in stock a number of high quality selections from Sumatra and Sulawesi as well as our Java Estates and our excellent Papua New Guinea sources which are available as both Organic and Fair Trade/Organic. We’ve been in business a long time and our trading staff is here to assist you with any adjustments you may need to make to navigate the downturn. If possible we’d advise to stock up early and begin looking for other options. Despite the expected Sumatra coffee shortage, we still have available our Fair Trade Organic Sumatra Mandheling, our Sumatra Triple Pick Lintong Tiger, our Sumatra Mandheling Double Picked and our Sumatra Mandheling Organic.